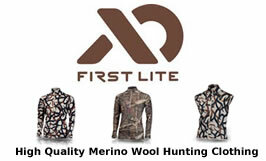 Those are some pretty key pieces of safety gear for any back country hunter. All 3 of these items might be a tad overkill with the SPOT and a satellite phone but being that I work from home and service web design/marketing clients all around the world it’s fairly important I remain in a contact loop at least with my workers at all times. My wife likes to keep in touch too and make sure I’m still alive or learn where we are at. The satellite phone and SPOT combination worked perfectly for that on several trips but this year I am ditching it all. This year I’ve purchased a Delorme InReach SE and then paired it with my Google Nexus 7 tablet. This move will eliminate the need for a GPS as Delorme’s earthmate app can be loaded onto the Android device. You can still set way points, plot routes, get your altitude and distance traveled but what’s even better is you can view good quality topo maps on a 7″ screen and not a tiny little GPS screen. In addition to not packing the GPS I’ll be able to leave some of those extra (and heavy) AA batteries as well. With the Delorme InReach’s built-in text messaging and SOS feature it eliminates my need for a satellite phone as I’ll be able to communicate through the Iridium network (much more reliable than Globalstar) and the built-in SOS feature allows me to relay 911 or calls for help through the GEOS center (same as SPOT). Where the InReach shines over my old SPOT is that you can actually communicate (via text message) with the GEOS center to accurately describe your situation should you need help and also with others you need to keep in contact with. For you iPhone and iPad guys and gals or those with an actual mobile phone there are literally thousands of different protective cases you can buy with one of the most popular being the Otterbox cases. For the Nexus 7 (2nd Gen) there is however, NO Otterbox case. It’s been discontinued. I spent some time searching and came up with the Drop Tech series cases by Gumdrop. It’s not waterproof, but it’s shock proof and has a built-in screen protector. The heavy silicone sheathing is very thick and has framing with lots of silicone in the corners to protect against drops and impact. Much like an Otterbox the case snaps together as two separate pieces and when snapped together feels pretty solid. It’s not waterproof if you were to drop it in a lake or a river but it’s certainly water resistant enough to be used on a hunt. The rubberized and ribbed feel of the case would make it difficult to drop, even when wet. Overall I am very happy with this case. I’ve been fascinated with solar power for a long time now and there is currently some really cool tech out there for backpack hunters who like to travel light. One of the reasons for jumping to the Delorme InReach paired with my Nexus 7 is the ability to charge them using one of the many small, portable solar chargers that are out there. After some extensive research online the solar panels by SunTactics were the clear winners. The specific solar panel I purchased was the sCharger-8. I found factory blemished (cosmetic issue) new panels on eBay and purchased one for $99.00, which came out to $127 CAD after taxes/duty through eBays global shipping program. The sCharger-8 boasts 8 watts total charging power 1600ma or 1.6a with full sun exposure. It also has two (2) USB ports so you can charge two devices at one time. My Android and the InReach can be charged at the same time in only a few hours with full sun. It takes about 2 hours to charge the InReach in full sun and about 4 hours for the tablet. The Android/Delorme InReach combo is an ounce lighter than my old setup and only becomes heavier when you add in the Solar charger, which I see as an invaluable part of this system basically allowing you to operate your devices indefinitely utilizing the sun to get them charged up. For those days when the weather isn’t good you can use a small battery pack commonly used to charge mobile phones. The SunTactics sCharger-8 can charge the Tablet, the InReach and also my GoPro camera (only 2 devices at the same time) and there are also LED headlamps that will charge off the same Micro USB ports which could further reduce my reliance on AA batteries. When you start to factor in everything you can do with the new combination of an Android paired with an InReach it begins to leave everything else in the dust. Two Way Communication Via Text Message – For me this is a big one. I need to be able to be in communication with my office. I need to know the status of websites, servcrs, current projects and more. I need to keep in touch with graphics people, programmers and my clients occasionally too. The satellite phone worked great for this, but it was big, required yet more batteries and was also something that had to be rented at a cost of about $150-$175 per 10 day trip. Paired with an Android or iPhone the InReach becomes a very powerful communication tool allowing you to create freeform 160 character text messages and send them to any email address or phone number (that you enter into the contact manager). Send Detailed SOS Messages or Calls For Help – The InReach connects with the same GEOS emergency response center that SPOT does but instead with the advantage of being able to two way text with them to better relay your situation. Should the tablet or mobile device fail you can still use the InReach Explorer or SE to send messages via the integrated digital keyboard, the original InReach must be paired with a device to use two-way communication. 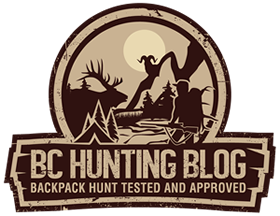 Store The Hunting Regulations – In BC the hunting and fishing regulations are available via PDF downloads which can be stored and saved on any mobile device. Being able to read the regs without packing the book around in your pack is a very helpful tool. 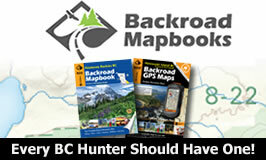 Store Your Topographical Maps – Pairing with an Android device gives you the ability to use the Earthmate App and download free high quality topographical maps for all of BC. You can download the maps for the areas you’ll be hunting in prior to your departure and can view them on a touch screen without any wifi or Internet connection whatsoever. In the case of my Nexus 7 I’ll have the ability to view the detailed maps on a 7″ screen instead of the standard tiny screens that you have on most GPS’s. Store Hunting Educational Material – Did you find a YouTube video that explained how to skin a bear or turn the ears on your game? You can download your favorite videos to your mobile device easily. Maybe you’d like to copy my Stone Sheep Judging article to your mobile device so you have it handy in the field or maybe you found a thread on HuntingBC.ca that had lots of useful information you’d like to save. All of this can be stored on your mobile device and brought into the field with you. Truly an invaluable piece of gear when you start to explore the benefits. Something To Do When Your Rained, Fogged or Snowed In – Load up your tablet with a few TV shows, movies or your music library. Even better load it up with some episodes of your favorite hunting shows. This sure beats staring at the roof of your tent for 2 days when you are stuck from the weather. The only downside to the Delorme InReach is the on-going subscription cost. The plans start at $16.95/month for basic emergency service with a charge of .95 cents per text to 29.95 for 100 texts and then the quite expensive ($69.99/mo) for unlimited texts which is the plan I’ll be using. When not actually out in the woods service can be suspended and put in a frozen state for $4.95 per month which is quite reasonable considering this keeps me in touch with my business, co-workers, clients and family. I have not been paid or provided with any equipment for this article/review. 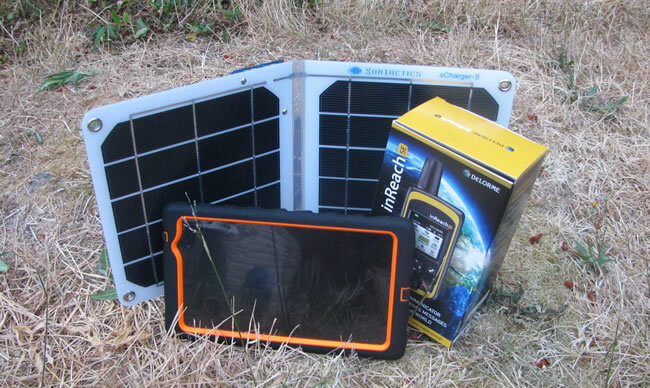 I’ve purchased the tablet, the protective case, the solar charger and the Delorme InReach SE. These opinions are my own based on my experience and my research. If you enjoy it and it helps you in your quest of staying connected while outside the grid then I’m glad it helped you. I have plenty of experience in the outdoors and understand the inherent risks of relying on technology when you are out the in remote wilderness. For this reason we still pack a compass and usually have a handheld maps too. When we hike into a drainage for sheep you have mountains on either side, it’s tough to get lost when there is one way in and one way out. Depending on where you are or where you hunt you may not want to try what I am doing. Do this at your own discretion. (post trip update) How Did It All Work? Well, after trying this combo out in the mountains of Northern BC during an August week of Stone’s Sheep hunting I have to say it worked quite well! The in-reach coupled with my tablet worked excellent, I may do a full review on that when I have time. The capability to send/receive short messages is a big improvement over my old Spot emergency locator and to have high resolution Google Earth imagery at your fingertips really helps out too. The idea of solar charging in the mountains definitely works if the weather cooperates, but during our week in the mountains we only had sun on 1 day and for only a few scattered hours here and there for which I left the solar charger at camp. Thankfully as a backup, I’d brought along a USB battery pack that could offer 2 emergency charges of my tablet if needed but thanks to conservative use the tablet battery lasted the week in airplane mode (with bluetooth on to connect to the In-Reach). The In-Reach hardly uses any battery and only dropped to about 82% battery power after a week and we were using it everyday to send multiple messages back and forth.